Busking can be a scary business. Just you, your instrument, and an audience that, more often than not, walks past without a glance. 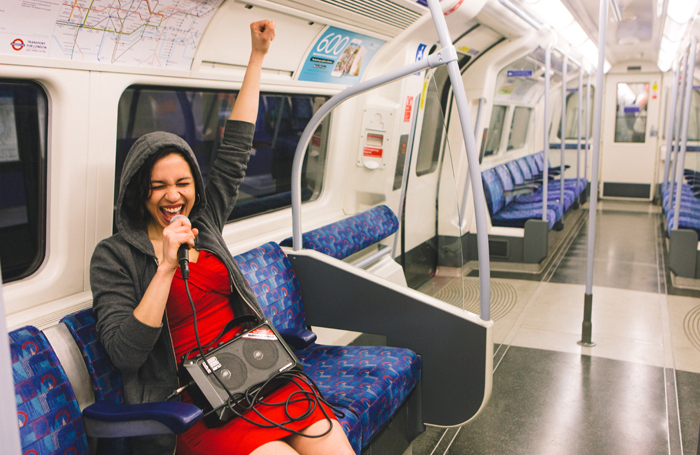 It’s a world Danusia Samal knows well – she busked on the London Underground for ten years from the age of 18, and she bases her new gig-theatre show on those experiences making music for passers-by. Samal is a charming performer. When she sings – some of her own music, some covers, including a belting version of Sam Cooke’s A Change Is Gonna Come – she has a soulful, sultry voice full of feeling. When she monologues and chats to the audience, she has a bright, bubbly wit. And there’s a lot that’s interesting in her story – plenty of tales about drunken harassers, amnesiac regulars and abusive onlookers, plenty of insights into the highs and lows of busking. But, despite Samal’s attempts to weave her life story and her relationships into the show, Busking It struggles to become something more than a collection of anecdotes. It offers an insight into the world of street musicians, and a handful of well-performed tunes, but not an awful lot more. Briefly diverting, like a busker on the tube.